Congratulations to the winners of my two giveaways. Amy, at Bailey’s Leaf, won the Lysol Neutra Air starter kit. Courtney, at Rants & Raves of a Twenty-Something-Year-Old Female, won the Fireproof DVD coupon. I had fun participating in the Bloggy Carnival and can’t wait to do it again next quarter. Thanks for letting me know the links weren’t working! Most of you know I stay up waaaaayyyyy too late. Wanna know what it is that I’m doing up in the wee hours of the morning and why you get emails from me at 2:32 a.m.? Here’s the (non-friend) long list. Yes, I know. It can be overwhelming. Start small. And to think I just went through my blogroll and purged. Rising early is the plan. Exercise waits for me to stand. Will we swap in taking rounds? January is about to take a rear. Five pounds have said goodbye. Two more weeks and I’ll say “Hi!”. Only sleep right now feels right. My husband sits just feet away. But neither can he stay. This poem is entitled, “Ramble”. I like my yummy eggs scrambled. I’m getting quite desperate here. Searching for words, my dear. It’s another giveaway from me, inspired by the awesomeness of The Bloggy Carnival. 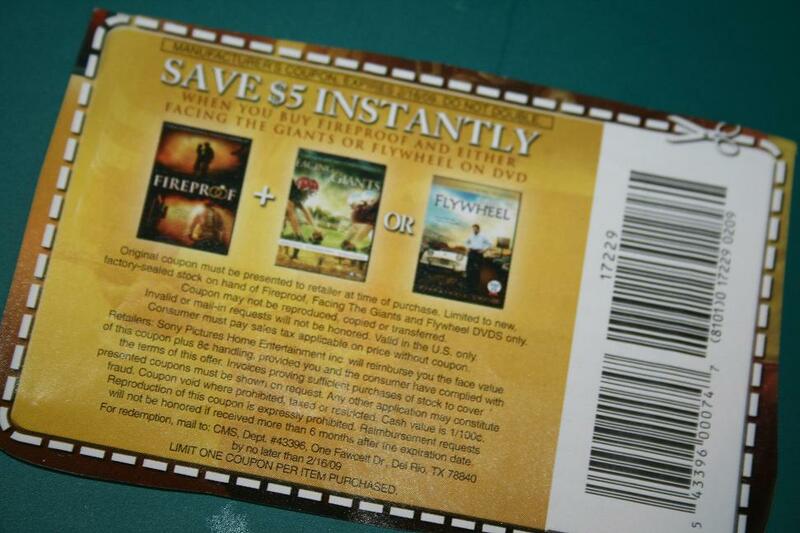 I’m giving away a coupon for $5 off the newly released movie, Fireproof (DVD). The coupon expires on February 16. At work, inside burning buildings, Capt. Caleb Holt lives by the old firefighter’s adage: Never leave your partner behind. At home, in the cooling embers of his marriage, he lives by his own rules. Growing up, Catherine Holt always dreamed of marrying a loving, brave firefighter…just like her daddy. Now, after seven years of marriage, Catherine wonders when she stopped being “good enough” for her husband. As the couple prepares to enter divorce proceedings, Caleb’s father challenges his son to commit to a 40-day experiment: “The Love Dare.” Wondering if it’s even worth the effort, Caleb agrees-for his father’s sake more than for his marriage. When Caleb discovers the book’s daily challenges are tied into his parents’ newfound faith, his already limited interest is further dampened. When his father explains that this is the love Christ shows to us, Caleb makes a life-changing commitment to love God. Andówith God’s helpóhe begins to understand what it means to truly love his wife. But is it too late to fireproof his marriage? His job is to rescue others. Now Caleb Holt is ready to face his toughest job ever…rescuing his wife’s heart. In order to be entered to win this coupon, just leave a comment telling me one, two, or three of your favorite movies. I’ll pick a winner (random.org) on Saturday around 12:00 noon and will announce the winner later that evening. 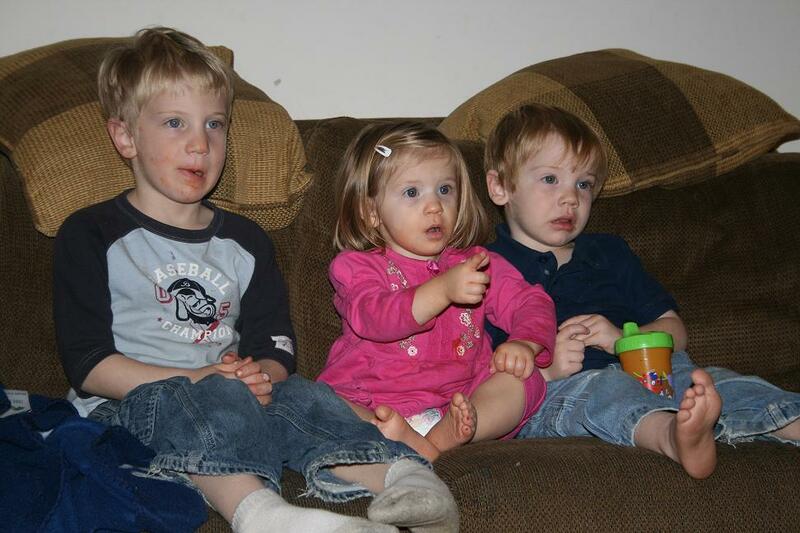 Can’t say enough about how much I love these three children. 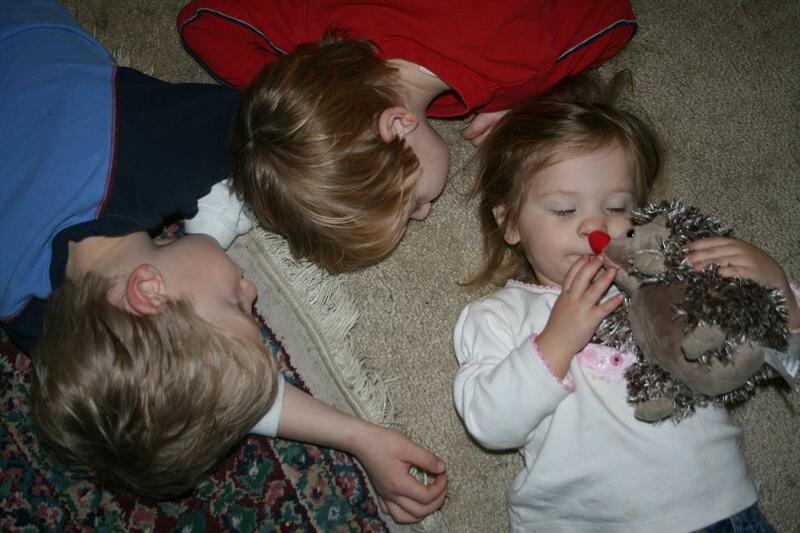 I’m thankful they love one another, too (well, most of the time). Can you tell we just finished eating a spaghetti dinner? Bath time was right around the corner. Wrestling on the floor led to them all in a huddle to catch their breath. Mommy let me play with the markers today. She says it was a mistake and I’ll have to wait til I’m a little older to do that again. 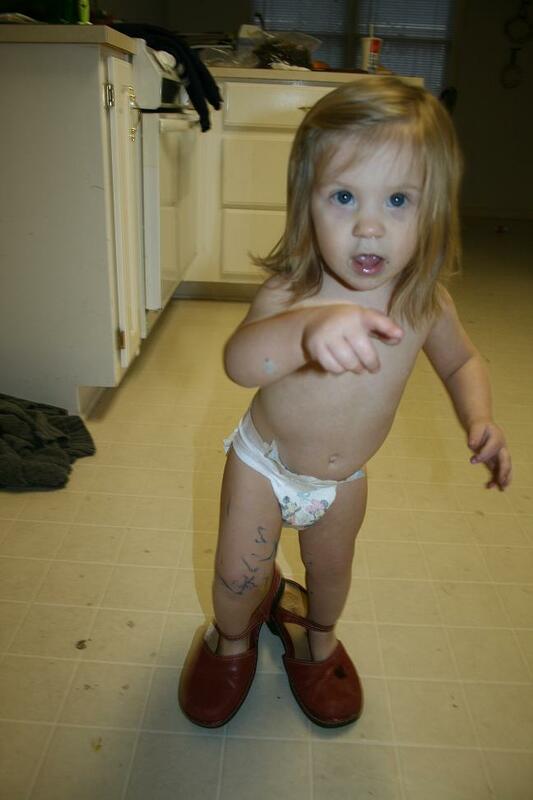 She said I should “take a walk in her shoes” one day. It’s really not that hard. Go visit Mommy Snacks to see what all you can get for free today!